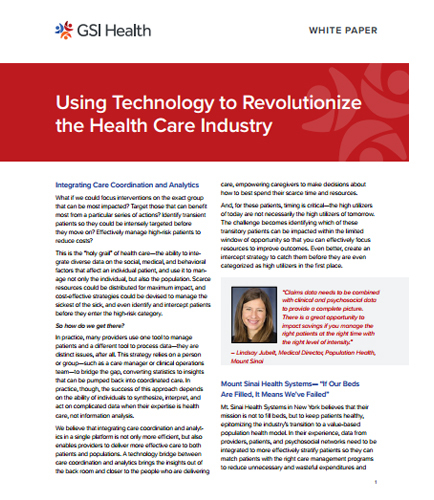 What are the technologies used to Revolutionize the Healthcare Industry? "What are the technologies used to Revolutionize the Healthcare Industry?" In today's healthcare industry, technology is playing an extremely important role. Integrating care coordination and analytics in a single platform is not only more efficient, but also enables providers to deliver more effective care to both patients and populations. Flexible and customizable analysis and reporting for operations and outcomes help allocate resources and streamline compliance.